Have a bit of time on your hands, enough for a poker quiz? PokerStars have added a quiz that comprises of 12 questions about events held throughout 2009 at PokerStars. 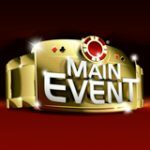 Players who answer all 12 PokerStars quiz questions correctly will get an invite to play a $5 buy-in tournament entry with $20,000 added to the prize pool. The PokerStars quiz will run until 17 December 2009. To find the PokerStars Player Quiz 2009 simply login to your account and look at the news banners in the lobby, even if you answer a few questions wrong you can retry until you get the correct answers. We have helped a bit by providing the answers to the Poker Stars Quiz questions in the self help cheat sheet below. Click the links in the PokerStars Quiz questions to find the correct answer, the answers are highlighted in bold yellow text. PokerStars deposit bonus code: STARS600 - 100% of first deposit match up to $600 - PokerStars minimum deposit is $10. 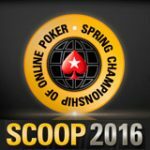 1) Who won the 2009 WCOOP Main event? 2) PokerStars holds the Guinness world record for the largest poker tournament ever held. How many players took part? 3) Who was the captain of Team PokerStars Pro for All Star Week? 4) November 15 saw the biggest Sunday Million ever held, what was the final prize pool? 5) In 2009 PokerStars celebrated dealing 25 billion hands, in which month did this take place? 6) Who won the 2009 PCA High Roller event? 7) Which country won the 2009 World Cup of Poker? 8 - There was a remarkable feat of skill in Limit Hold'em in 2009. 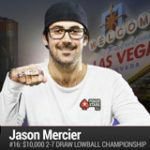 One player won the high and medium buy-in 6-Max events during SCOOP, then went on to win the full ring $1050 event during WCOOP. Who was this player? 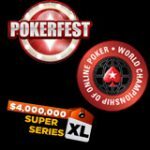 9) What was the total combined prize pool of the World Championship of Online Poker 2009? 10) The players that qualified for the WSOP were offered bonus VIP Player Points (VPPs) for playing in the Main Event. How many VPPs were they offered? 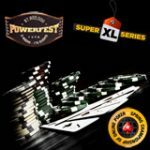 11) In July 2009, which well-known online tourney player set the record for the highest ever Weekly TLB score after taking down the Team PokerStars Pro edition of the Turbo Takedown? 12) What is the nationality of Pieter de Korver, the Team PokerStars Pro that won EPT Monte Carlo? Once all questions are answered, submit your PokerStars UserID to get your free entry into the PokerStars quiz event, if you answer a question wrong you can always try again, check under the news banner in PokerStars lobby you will see the PokerStars Player Quiz 2009 advertised there should you need to try again. Deposit bonus PokerStars: STARS600 - 100% of first deposit match bonus up to $600 - Minimum deposit at PokerStars is $10. 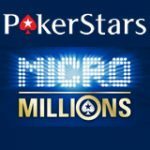 5 Responses to PokerStars Player Quiz 2009?